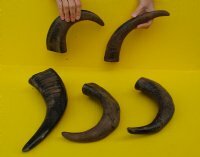 5 piece lot of Semi Polished water buffalo horns for sale from India, Bubalus bubalis, measuring 13 to 15 inches around the curve of the horn using a cloth tape measure. 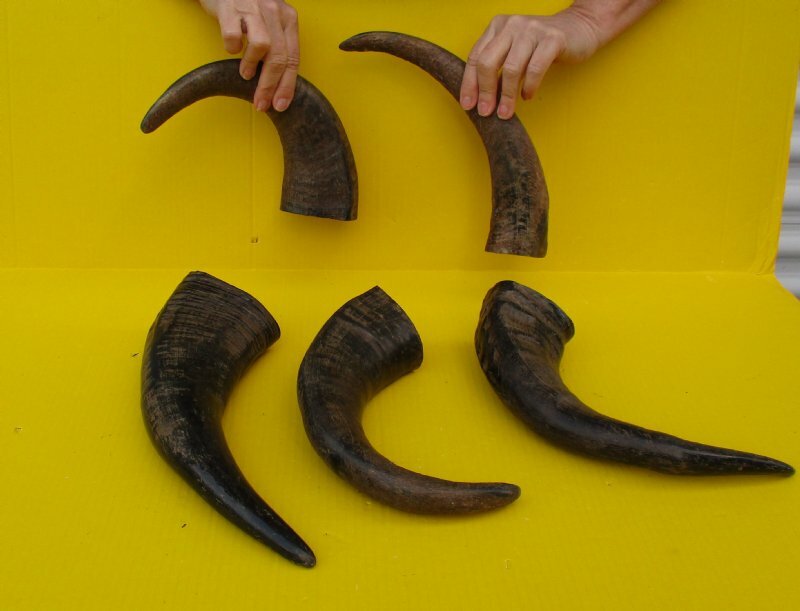 Semi polished buffalo horns will vary in coloring, size and shape and are used for making animal horn jewelry, in cabin decor, rustic decorating, in making knife and can handles, for carving, in the art os scrimshaw and in making inlaid instruments. These may have a tag on them. This is a requirement of the U.S Customs Department. All products imported into the U.S must have a Country of Origin tag. 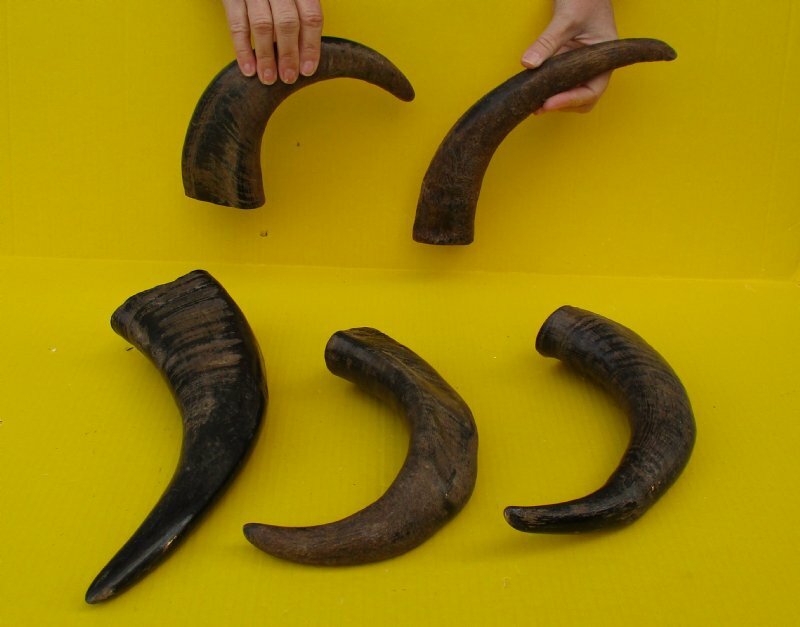 They are real. 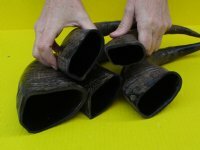 You will receive the 5 semi polished buffalo horns in the photos - review all photos. We are direct importers of all our water buffalo horns -- NO middle man!! !